Using GoPro for snorkeling is never a bad idea! Read why the new GoPro Hero7 Black is one of the best small snorkel camera nowadays and what extra features has over the Hero6 and Hero 5 models! Moreover, we give you some tips on how to use your GoPro underwater! 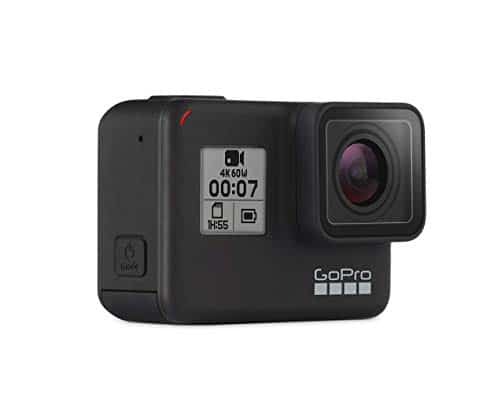 1 Is Hero7 Black a good GoPro for snorkeling? 2 What is new in GoPro Hero7 Black? Is Hero7 Black a good GoPro for snorkeling? 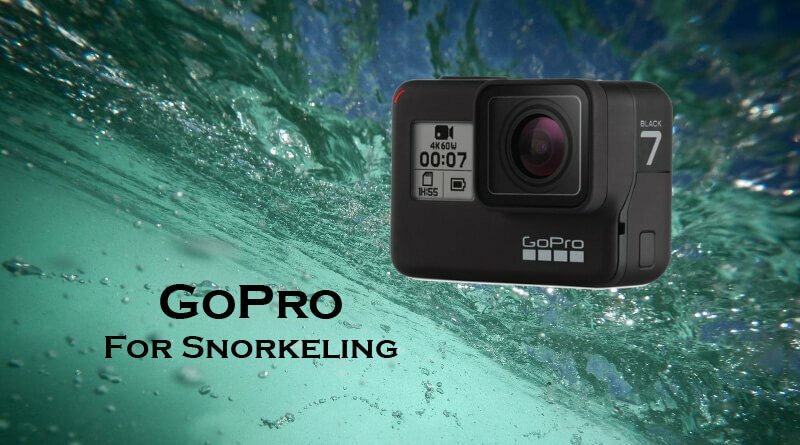 Many people decide to choose GoPro instead of a waterproof snorkeling camera thanks to its compact size and high-level photo and video quality. Using a GoPro for snorkeling or diving provides you outstanding image quality even if you don’t know much about photography. These action cameras are easy-to-use, the latest models are waterproof without additional housing too to a certain depth. On the top of these, they come with tons of features that help you to capture unique and professional photos and make video sharing simple and fast. GoPro, the leading action camera manufacturer has just launched the GoPro Hero7 series with 3 new models: Hero7 Black, Hero7 Silver and Hero7 White. The new cameras replacing the previous GoPro 6 models and come with new modes as well as improved functions. The top highlight is the HyperSmooth in-camera image stabilization that is the unique feature of the Black version only. This function is an absolutely game-changer if it comes to video quality and will save you the money you should spend on a gimbal as well as the time spent on post-processing. 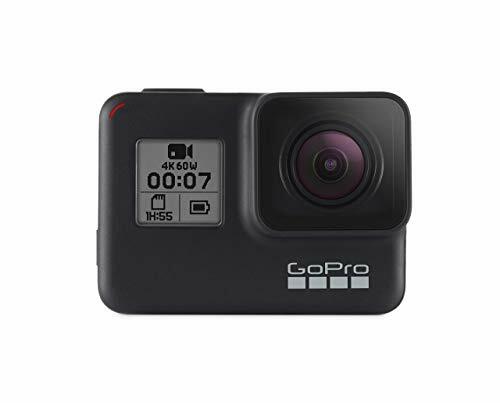 After reviewing the GoPro Hero7 Black features, if you would ask what GoPro model is the best for snorkeling, it is definitely the GoPro Hero7 Black. Although, there is a price difference between the Hero 7 Black and Hero7 Silver models, but due to the awesome features like Hypersmooth stabilization and 4K filming, in the long run, it is worth to spend that little extra and get the advanced modes. What is new in GoPro Hero7 Black? The new flagship model introduced some brand new features and tons of improvements that make this tiny action camera not only a must-have for professional adventurers but also a perfect choice for everyday users for any outdoor activity. The electronic image stabilization is the best built-in camera stabilization that replaces the use of expensive electronic gimbals. Getting smooth and stable footage is crucial. Nowadays, we prefer to film all everyday moments while walking, running, and biking. To make on-the-move videos stable, you needed electronic gimbal that is bulky and expensive. But this is the past! Get sharp and stable HyperSmooth videos even while the roughest conditions! And it works underwater too! 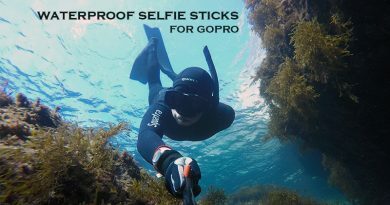 HyperSmooth is an extremely useful option if you use your GoPro for snorkeling! When filming underwater, one of the biggest challenges is to hold your camera steady to avoid blurry footage. Since there is no waterproof gimbal on the market, it is almost impossible to get a smooth footage while swimming on the surface if there are waves. Thanks to the HyperSmooth stabilization, GoPro Hero7 Black is now the best GoPro camera for underwater! A ground-breaking feature in the new GoPro Hero7 Black! TimeWarp is able to create incredible stable time-lapse videos of moving scenes. Create awesome videos for example when moving your camera from left to right or while walking or biking. With the speed options between 2x and 30x you can increase the stability. With the new GoPro Hero7 Black Livestreaming function you can go live anytime on biggest platforms like Youtube, Vimeo, Facebook and Twitch with the GoPro App. The LiveStream features 720p video quality and you can save your live videos to the SD card in 1080p 60fps. The GoPro Hero7 Black SuperPhoto works like an HDR mode when the camera takes several photos so you can choose the best. This option not only applies HDR but also does some tone mapping and reduces noise. The User Interface became more user-friendly with some useful quick functions. The new UI features Portrait Orientation to shoot vertical images, creating 15s or 30 s Short Clips, Photo Timer with countdown function to capture the best selfies and action shots, as well as improved Playback option with the possibility of playing videos in slow-motion directly on the camera by dropping the frame rate to 30fps no matter how it was recorded. 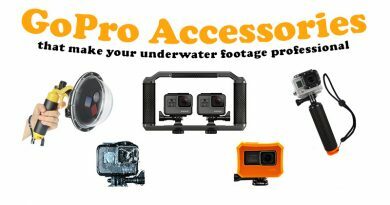 With these GoPro snorkeling tips you will know what extra accessories you can buy to make the most of your underwater photos and videos! A little trick that can significantly improve your underwater video quality simple by attaching a filter to your GoPro SuperSuit case. Using a red or magenta filter is a fast and simple way of color correction. If you use your GoPro for snorkeling or diving and want to have your underwater footage bright with natural colors, get a GoPro red filter kit! There are different types of dive filters that are all designed to be used in different conditions (blue water, green water) and at specific depths. Check out our detailed guide where we and tell you how exactly red filters work and what is the best GoPro filter for snorkeling. Originally, GoPro doesn’t come with a stick so you need to buy a pole to mount your camera on. Like this, you can hold it more stable than using hand-held. There is a wide selection available from the simplest floaty hand grips to telescopic poles, so it depends on your filming habits what will work the best for you. The most important is that if you will use your GoPro for snorkeling, make sure to buy waterproof selfie stick that you can use in salt water too. Alternatively, you can mount your camera on a GoPro snorkeling mask too! It is so much fun to take over-under split photos with a GoPro camera! A half underwater GoPro photo is that cool-looking shot when a certain part of the image shows the underwater scene while the rest the surrounding above the water level. 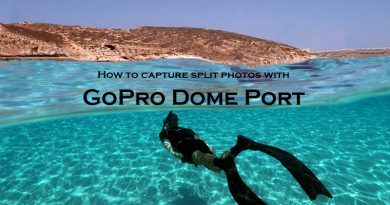 Read our special tips on how to capture split images easily and see what is the best GoPro dome port for Hero7! 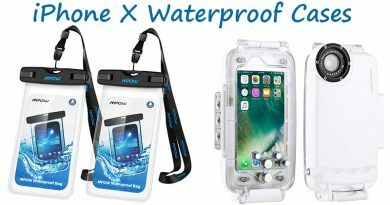 As mentioned, all newest models are waterproof up to 10 m without any additional case, but to be on the safe side we recommend to get a dive housing if you will use your GoPro for snorkeling. 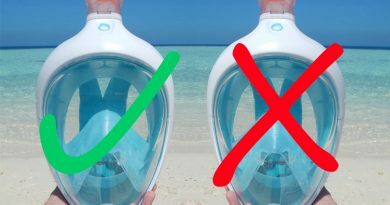 For diving, the GoPro underwater case is a must because you will go deeper than 33 ft (10 m) for sure, but also for surface swimming it is a safer set-up to prevent accidentally leaking. Hi there, I love your post! I recently acquired a GoPro Hero 7 Black and am going on a snorkelling trip soon. With the Hero 7 black, do I need to use additional housing for simple snorkelling? Like the super suit? I guess I am wondering if the sea water could damage the native GoPro body. Your advice would be much appreciated, thanks!